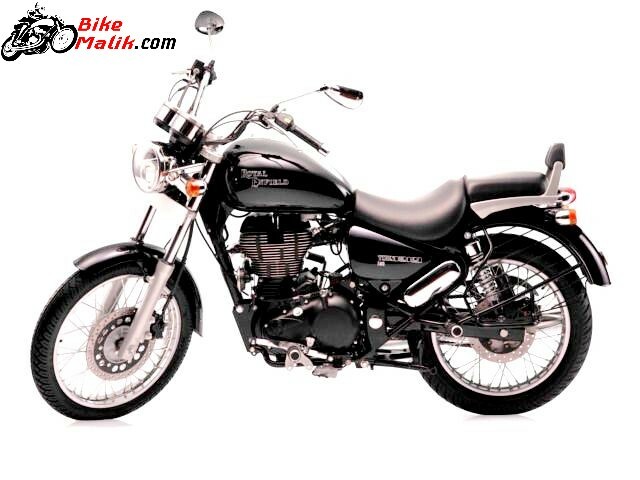 The Royal Enfield Thunderbird was first came seen the auto market in the year 2000. From then, Royal Enfield is successfully served the Indian auto market & customers to the very greater extent. 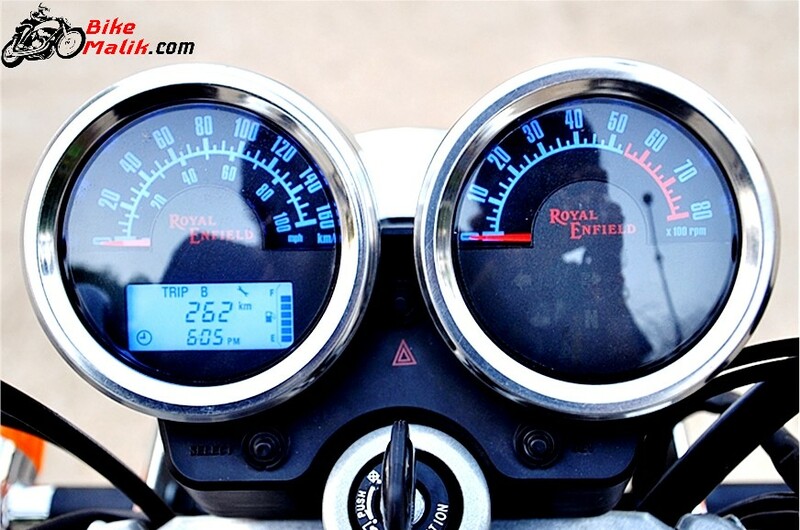 Royal Enfield Thunderbird is the comfiest & potential cruiser that every cruising enthusiasts love to experience with. 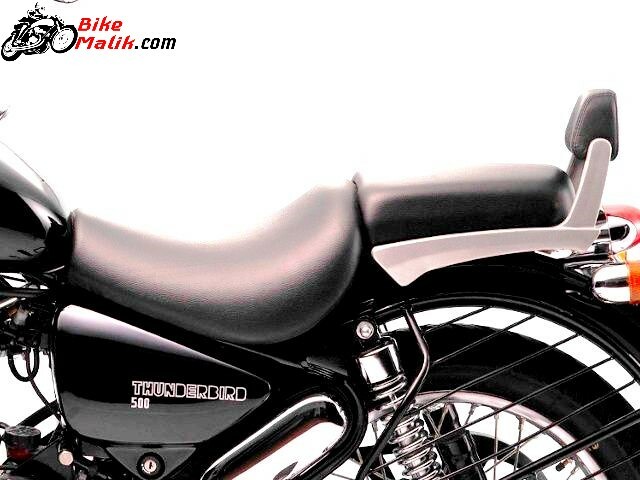 And now with all the astounding elements, updated design, and powerful execution the Royal Enfield Thunderbird 500 has emerged so as to increase the brand value and also to facilitate the customer to utilize the naked cruiser as of wish. Continue reading. The Royal Enfield Thunderbird 500 gets all the powerful power form a 499 cc, 4 strokes, twin spark, air cooled, single cylinder engine that pumps 27.2 BHP of peak power @ 5250 RPM with the highest torque figure of 4.17 Nm @ 4000 RPM. With all the powerful hardware setup, the bike maneuvers very easily with no any disrupt and thus, the rider gets some more zeal with this enormous power output. The bike doesn’t care whether the surface is wet or dry, traffic or no traffic The rider don’t experience any jerks and discomfort even the bike is moving on second or third gear. With all the potential at hand, the bike hits the 100 km/h top speed in very just 12.5 seconds, which is a noteworthy figure to be considered. The rider can be happy with the fuel figure, which claims the efficient fuel figure of 26 km/l. The fuel figure is impressive right !. This naked cruiser provides all the acquired output that suits well for both highway & city rides, but most of us adore for highway rides because the powerful vibes are better experienced only on highways. 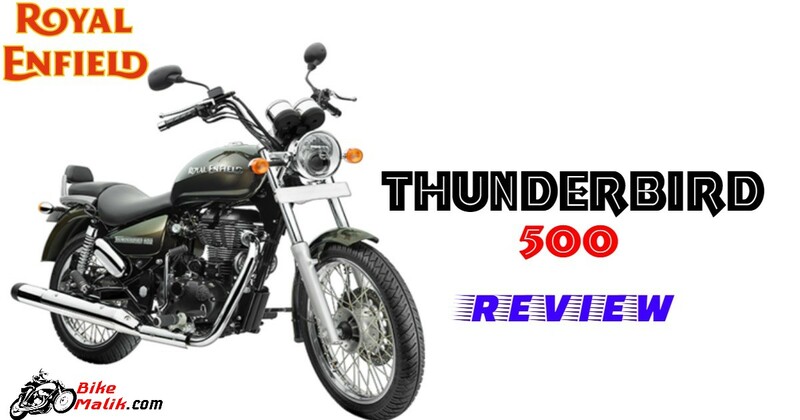 Royal Enfield Thunderbird 500 is one of the most adorable models to consider in Indian auto segment, especially in the 500cc segment commuters. The design of the bike is more realistic and upmarket and incomparable too. The front of the Thunderbird gets round headlamp with LED DRLs (Daytime Running Lights) which was nicely mounted to elevate the bike appearance from the front angle. 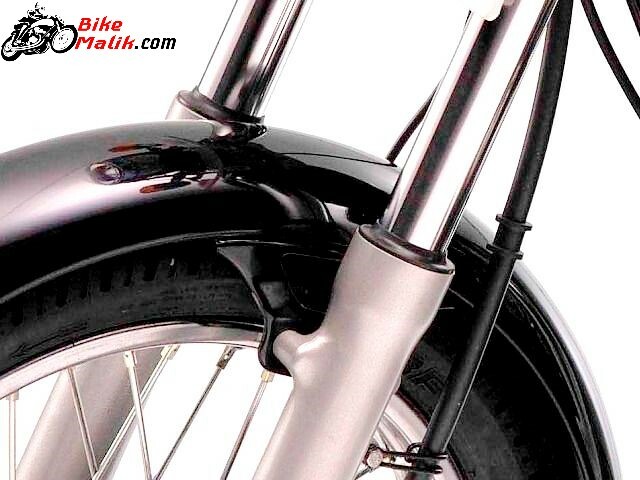 The cruiser type handlebar of the bike not only looks plusher but also give good riding posture to the rider. While the sizzling colors schemes is a standout feature in the crowd. 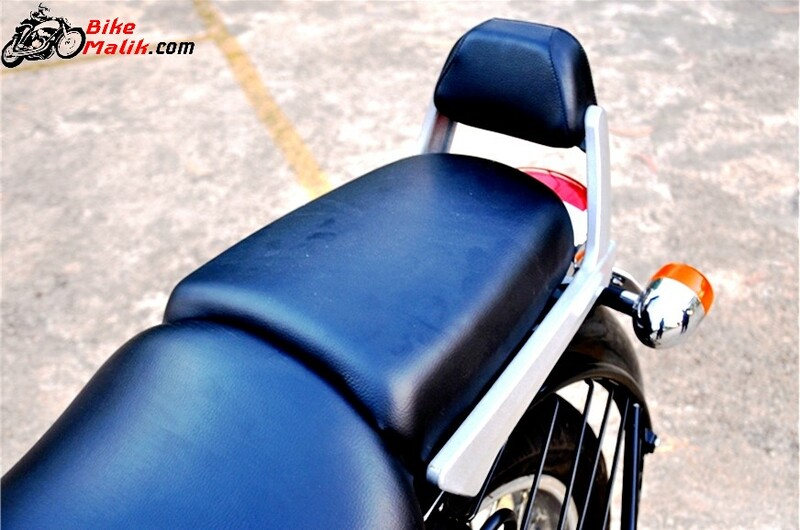 The nicely textured split seats with a pillion backrest offer ample comfort to both the rider & pillion. The biker can easily ride the bike with a maximum speed of 120-140 km/h, but the disgusting thing is the rider will experience all the awkward jerks, so it’s better to handle the bike under economy is recommendable. Driving & handling dynamics of the bike is very sumptuous for the rider where every rider desires for. 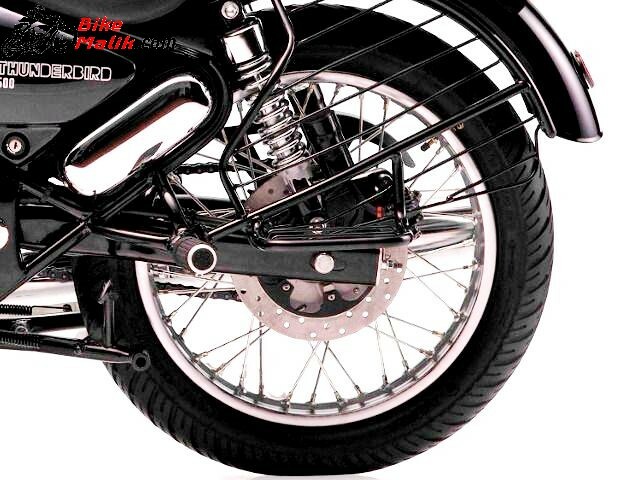 The maneuvering of the bike is simple for the rider with the reliable clutch weight and braking setup, which works effectively to provide an easement. The 280 mm disc brakes at the front and 240 mm disc brakes at the rear works efficiently to ensure good braking capabilities to the rider under all situations. While the telescopic forks at the front and twin gas-charged shocks at the rear works greatly to ease both the rider & pillion. But the braking system is quite lazy while riding the bike at high speeds. Hence, the rider feels sorrow for this. Though it’s a top cruiser the typical sound from the discs can be heard while braking. The bike facilitates the rider with decent driving & handling ergonomics. The turns have taken care smoothly without influencing the rider. The suspension setup at the front gets improved so as to provide comfort. The sections that received improvement were the new handlebar and foot pegs. The rigid & sturdy suspension unit at both ends is good enough, which works accordingly to overcome the potholed roads. The safety features like rear mirrors for better vision of vehicles behind, the large headlamp unit for bright illuminance, and sturdy braking & suspension setup works effectively to ensure safe and secure rides to the both the rider and pillion. The Royal Enfield Thunderbird arrest the customers with its good driving ergonomics, better execution & astounding design. 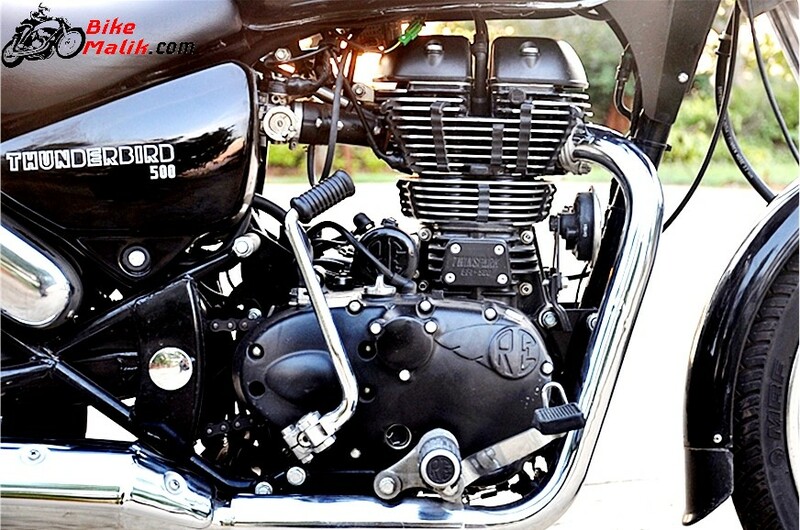 Hence, Royal Enfield Thunderbird is a stand out cruiser with whistling amenities.